Bonds of The Skies has solid gameplay that is unique in various aspects, of course random encounters are in which we rather enjoy every now and then, battles are relatively straightforward, but there are some nuances such as being able to move characters around in your formation mid-battle without using a turn to increase damage given or save yourself if you're low on health by retreating to the back of your formation. 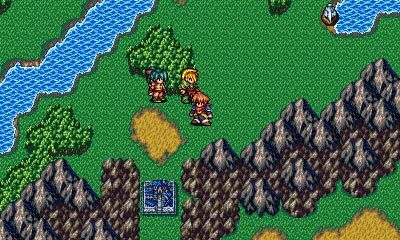 Elements play a HUGE role in the game and quite frankly make the enemies far too challenging for even intermediately skilled players in many instances, especially later in the game. We honestly had a heck of a time reviewing this, between the difficulty, a bug that was later fixed in the game, and our 3DS breaking. Still if you like a serious challenge you should enjoy Bonds of The Skies. The story is pretty unique as expected from KEMCO so be prepared for a fun romp through the world of Eil, but don't expect any major plot-twists to catch you off guard this time around. Bonds of The Skies is rather short clocking in at under 30 hours in length so don't expect a 100 hour epic adventure. 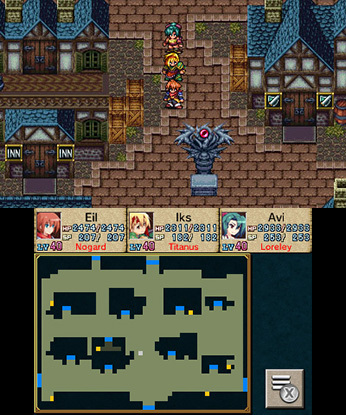 The controls are easy to learn as expected from a throwback 16-bit JRPG. 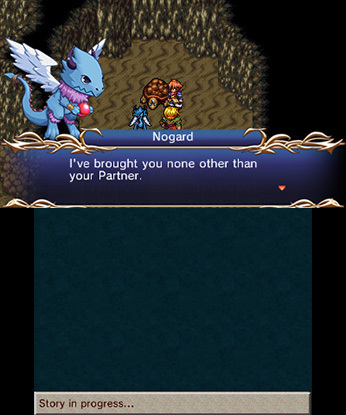 The graphics are a step-up from most of KEMCO's previous 3DS titles which is nice. We also liked the character and enemy designs in Bonds of The Skies. The soundtrack is quite enjoyable as well and really sets the mood for the game! 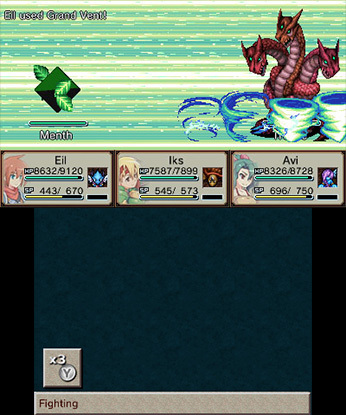 With solid gameplay, excellent controls, and a great audio-visual presentation, Bonds of The Skies for the 3DS is a great game that most fans of the RPG genre should thoroughly enjoy, however the difficulty and short length of the game might be off-putting for some. Regardless we give Bonds of The Skies for the 3DS a good level of recommendation! Good review! KEMCO seems to develop decent rpg's that are easy on the wallet. Nice review. That reminds me, I still need to finish Asdivine Hearts and Alphadia Genesis.